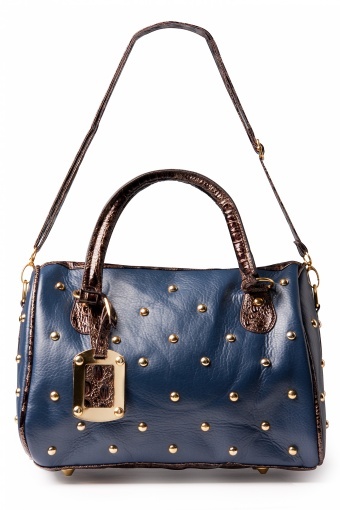 Extravagant Studded Night Blue hand&shoulderbag. 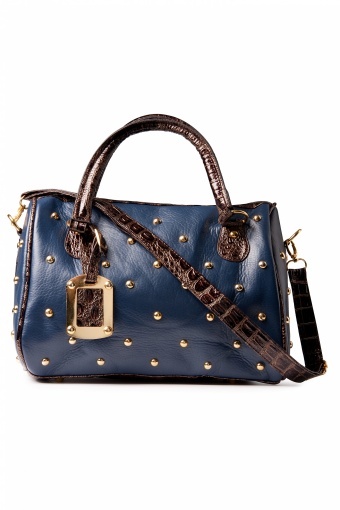 Night blue coloured very spacious handbag with really cool details. 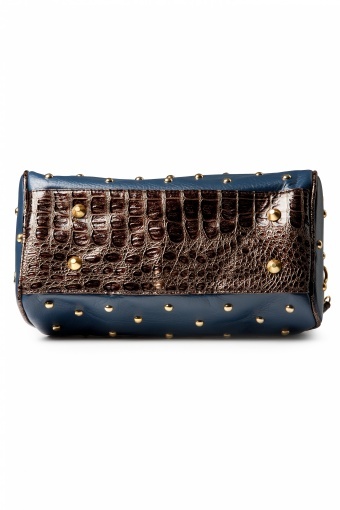 The bag is all over decorated with shiny gold toned studs and the handels and shoulderstrap are in a brown toned faux leather with croco-print. With a luggage tag on one of the handels. 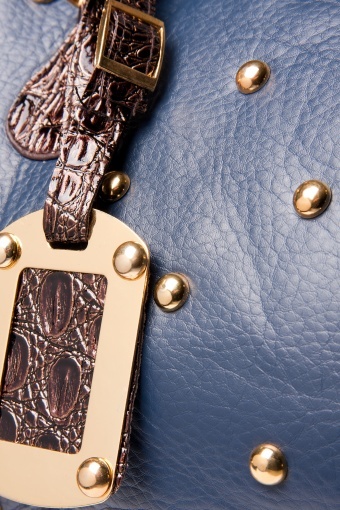 The bag has a dark brown toned lining with a zipper compartement and two phone pockets. The bag closes with a zipper.